This article has been viewed 8110 times. I wrote that the honey used ought to be raw honey, unheated, unpasteurized, and that the more local the honey was, the more it was apt to be effective. The theory works like this: the pollens you are most likely to be allergic to, are those found in the area where you live and work, the pollen grains coming from local trees, shrubs, grasses, vines and flowers in your own immediate area. The local honeybees, the bees that live and harvest pollen and nectar in your own neighborhood, they are collecting the exact same kind of pollen grains that you would be most allergic to. Small amounts of this same pollen (and other possible local allergens associated with flowers) will be found in the honey these bees make. Avoidance…avoid what is triggering your own allergies…hence the prime importance of allergy-free gardening. It makes NO sense to plant highly allergenic plants in your own yard; doing so will just over-load your immune system with allergens. Immunotherapy…very small amounts of the allergens are taken over a long period of time, allowing the body to build up resistance to the allergens. This is the same thing an allergist does when they give someone “allergy shots.” This is also the same thing that can happen when local honey is used over a prolonged period of time. Antihistamines, drugs: This, unfortunately, is the most common way of dealing with the problem of pollen allergies. Doctors prescribe billions of dollars worth of prescription drugs to stifle the effects of the allergies. Many millions of dollars worth of other similar non-prescription drugs are simply bought over the counter, again to damper down the hyper immune system, to get relief from the allergies. Let’s take a quick look at the three concepts of how to deal with pollen allergies, at the good and bad points of all three. Avoidance is the best, by far. There are no negative side effects from simply avoiding whatever it is that makes one feel bad; it is the utmost of common sense. Many city streets and a multitude of city parks, schools, commercial landscapes, and especially front and backyards of homes, worldwide, have been landscaped with plants that will over-produce very large amounts of highly allergenic pollen each year…and they will trigger allergic reactions. Over time, the allergies to these allergenic local plants will get worse, not better…unless changes are made in the local environment…unless the most allergenic plants are replaced with allergy-free plant choices. Immunotherapy is often very effective, but it is typically quite expensive and many insurance policies do not cover the expenses…then too, over time, the effects of the “allergy shots” tend to wear off, and they need to be repeated. Nonetheless, if one can afford these shots, I do recommend them. Local honey does much the same thing, but it costs much less, and also has other health benefits from the raw honey itself. Antihistamines, drugs: When an allergic response is triggered, the body’s immune system goes into overdrive, attacking the pollen as though it were a more dangerous substance than it actually is. The physical result of all this over-action on the part of the immune system results in itching, runny and sneezy noses, and of course, more mucus production. The allergy drugs put a damper on the immune system and thus reduce these symptoms caused by this hyper-activity. But, at what cost? It has been long known, and well documented, that allergies are protective against cancer. Yes, having allergies protects against cancer, as does having asthma. Why would this be? At any given time any one of us may have cancer of some form or another somewhere in our bodies, but most of the time our own immune system will attack the cancer and kill it off long before it ever gets out of control. When someone with allergies comes in contact with allergenic pollen and their immune system is kicked into gear, the immune system is not just fighting the allergens, it is also attacking any cancer cells they may have, realized or not. Thus, an occasional over-active immune system is actually a blessing…even if it may not feel like it at the time. Now, consider the allergy drugs, and the effect they have: these drugs are designed to shut down this same protective immune system. I would advise anyone fighting cancer of any kind, to avoid taking any kind of allergy medicine. Furthermore, I would advise any one taking allergy medicine on a regular basis, to try and find a way to stop their dependence on these drugs. From my research I am increasingly led to believe that antihistamines can open the body up more to attack from cancer cells. So, what is a person with severe pollen allergies to do? For starters, if you are taking Allegra, Claritin or similar drugs on a daily basis during pollen season, I would advise that you skip several days each week to let your immune system do it’s work. I would also advise that, if possible, you see an allergist and get the allergy shots. I would strongly advise going to the closest farmers’ market and buying some local raw honey, and then to use it daily, in small amounts. ** Please note, that those individuals with the most severe allergies can get an allergic response (including anaphylaxis) from the local honey itself. Because of this I advise people to start out with very small amounts of the local honey…perhaps as little as a quarter of a teaspoon a day or less. If this triggers an allergic response, such as itching in the back of the throat, then you will need to take an even smaller initial dose. Over time the amount of local honey taken daily can, and should be, increased…but it makes sense to be cautious in the beginning, and to carefully monitor your own progress. Lastly, and perhaps this should be first, and not last, you should allergy-free your own yards, and try and get your neighbors to do the same. Likewise, people should demand that their own cities pay attention to the allergy potential of the street trees they plant. It makes no sense at all for a city to plant trees that will cause allergies (often male clones) when they could instead plant trees that are every bit as beautiful, but that do not produce allergenic pollen. For almost a decade now I have answered many thousands of emails about local honey and allergies, even though it has taken up a great deal of time on my part. As always, another caution is in order: local honey should not be given to babies under the age of one. I am a paramedic and nursing student. Recently a fellow nurse asked me to do some research on whether or not eating honey really could cure allergies. After looking around a few books on natural health and surfing the internet I discovered two things: 1) most people seem to agree that this method works (though there were a few who didn't) and 2) no one ever sited any research of any kind to back up their belief in this method. In my research I came across an article you had written in which you said this method worked well. So, I was hoping you could point me in the right direction. What is the best evidence that taking honey to cure/help allergies works? I have answered this exact question so many times now...that I should probably write it up and publish it. With way too many things.... follow the money. There is no big money to be made from local honey...there is money to be made from honey, from bee pollen, etc....but not from local honey...because it has to be local to be effective, hence it is all very small scale. Small, local beekeepers are not in any way organized; they have no real money and very little political clout. In order to have studies done, some group must put up the considerable money involved. Usually drug companies that hope to profit from the results of the studies provide this money. With local honey, this money is not there, hence the lack of the studies. What there has been in allergy science in the last 6-7 years or so though, is a good deal of actual testing of allergens given orally, often sublingually (under the tongue).... and in most cases with very good results. This is pretty much the exact same way a local honey would work, too.... small amounts of the local allergens given in some kind of medium. So, yes, there are NO decent studies on local honey...and that is a shame, as it is often very effective, and certainly much cheaper than shots from an allergist, or than taking Allegra or Claritin for years. Ps. I have never written that local honey will “cure” allergies; instead what they may well do is alleviate the worst symptoms, making one feel better. 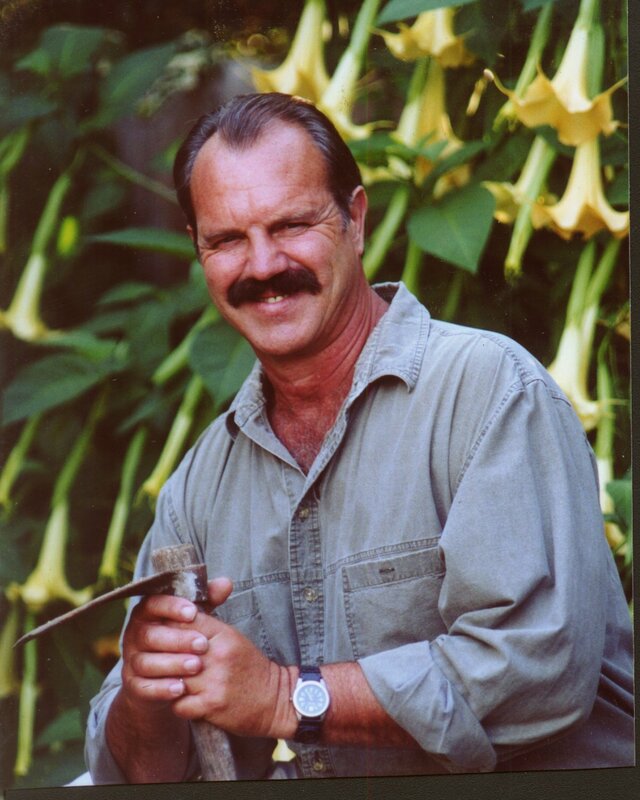 Biography: Thomas Leo Ogren is the author of books and many articles on allergies and gardening. His work has been published in hundreds of newspapers and magazines worldwide. He has been interviewed on NPR, CBS, NBC, Fox News, BBC, CNBC, and on many other radio and TV media stations.